One last day in New York and over 20 different places on my list that I wanted to try for lunch. While so many seemed appealing, it was David Chang’s enthusiasm for ramen in Mind of a Chef that guided my choice. After trying (and loving) one of his choices in Tokyo, I wanted to sample Chang’s own ramen to see how his love of noodles translated into what he actually serves. 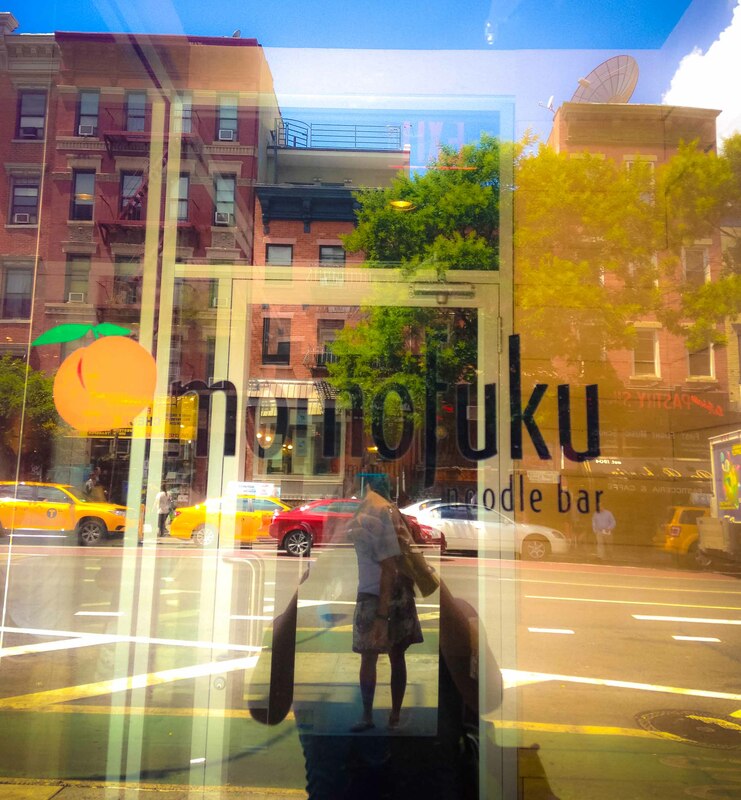 Located in the East Village, Momofuku Noodle Bar was kind of on the way to the adventure I had planned for us on our last day in NYC. I was afraid we’d have to wait to get in, but on a Monday just after noon, we were able to get a seat right away. Scouring through the menu, I had ramen on my mind but I wished we had bigger stomachs so we could sample more dishes. I was happy that we’d tried Chang’s famous pork buns when we visited the Momofuku Noodle Bar a few years back for their fried chicken lunch. We settled on 2 bowls of ramen, and because the one I ordered didn’t list that it had one, I ordered a soy sauce egg as well. 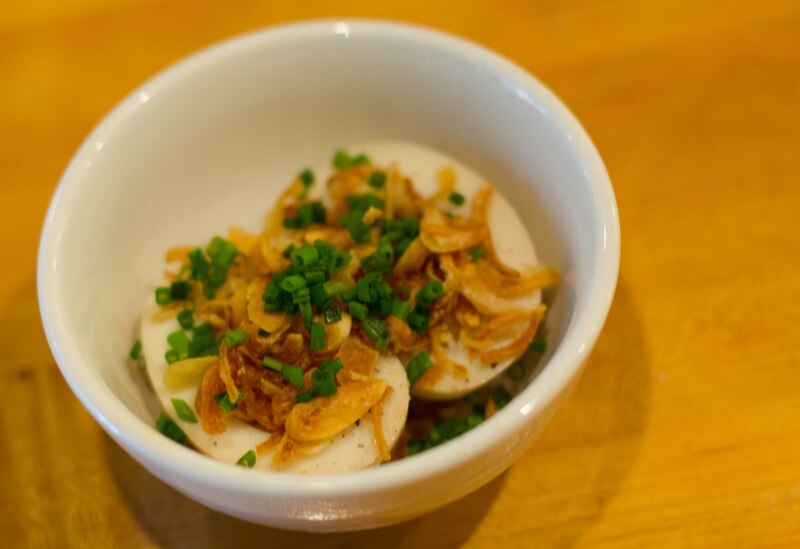 Soy sauce egg with crispy shallot, roasted onion and maldon salt. I was a bit confused when this hit the table because I thought I was ordering a side of egg that I’d add to my ramen. This seemed like it was a dish on its own. I understood that it was actually a dish to be eaten separately when my ramen was delivered complete with a Momofuku perfectly poached egg. Momofuku ramen with pork belly, pork shoulder, poached egg. Before I give my thoughts on Momofuku ramen, I’m going to add some points to qualify the statements that will follow. I am a huge ramen fan. 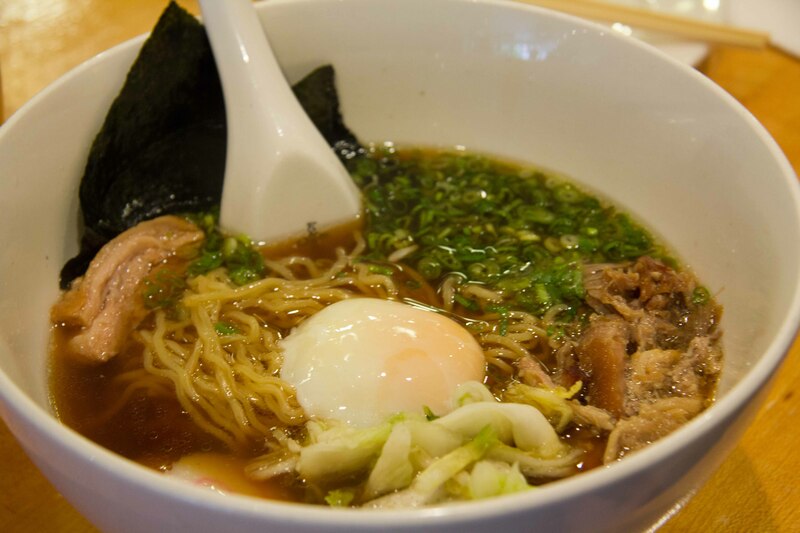 There are many fantastic ramen joints in Vancouver, but even saying that, there are a few that are superior. I go to these superior places quite often, so my bar is set quite high. I was just in Japan and had 2 of “the best bowls of ramen” I’ve ever had at Ippudo and Rokurinsha. I am a Japanese food snob and if you’re making Japanese food when you’re not Japanese, I am immediately skeptical, (although not unwilling to be wow’d). My feelings with both bowls of ramen at Momofuku was that the parts were greater than the sum. Both bowls were filled with ingredients, which on their own were delicious. The pork in the Momofuku ramen was ridiculously good and the poached eggs were perfect. Where the bowls fell short though was in the broth. Both were tasty, but both lacked the depth of flavour that makes a truly amazing bowl of ramen. 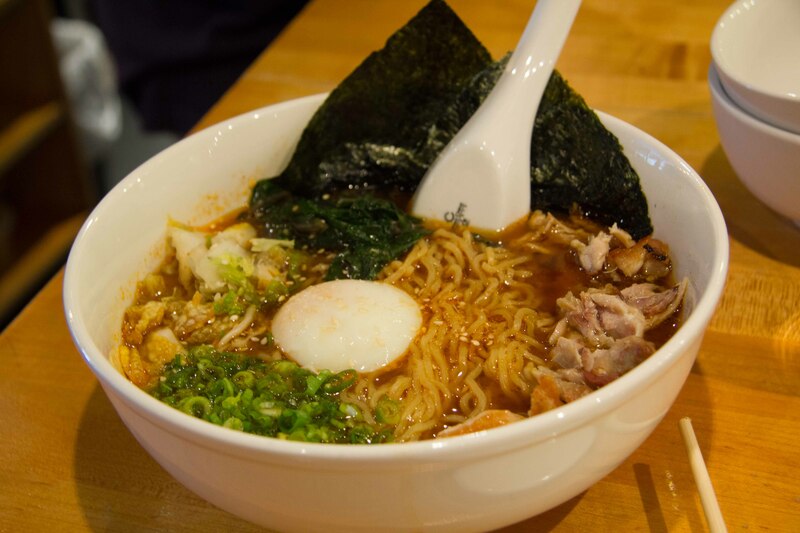 At the end of the meal, I was satisfied with the experience and happy that we tried the ramen at Momofuku Noodle Bar. If there’s a next time, I’d probably stick to the bao buns and their fried chicken lunch and head to Ippudo NYC to see how their bowl compares to what I had in Japan. We ended our visit in NYC with a visit to Queens to check out 5 Pointz. It’s been something I’ve wanted to check out for years and I’ve heard it’s scheduled for demolition in the Fall. I’m glad we went, the art was amazing and it was a great way to end this trip to NYC! 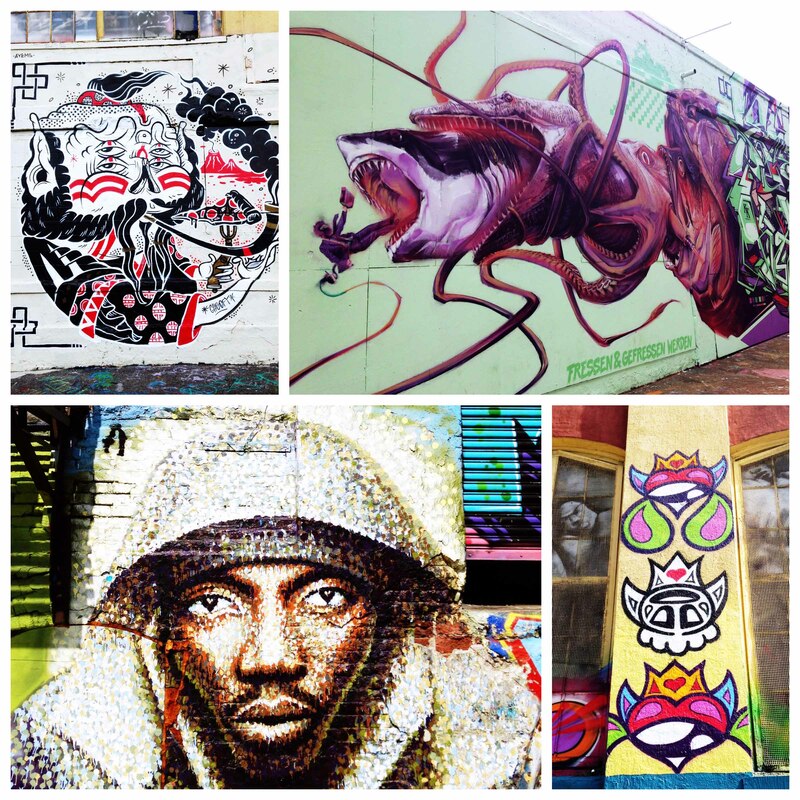 Just a few of the great pieces of work on the walls at 5 Pointz. This. Here in Los Angeles/Orange County I have yet to try great Japanese food from a non-Japanese chef. Which branch of Ippudo did you go to in Japan? I went to the one in Osaka and found it to be disappointing. I’d like to give it another chance when I go back to Japan next month. I was told about a “great” ramen place in LA called Tsujita, by Chef Paul Carmichael at Ma Peche in NYC. Do you know it? I’m in LA for 5 days in November and I’m thinking of going. I went to Ippudo in Kyoto. What did you think was disappointing about the ramen at Ippudo in Osaka? Tsujita is supposed to be really good. Unfortunately, I haven’t gotten a chance to try it yet. Since I moved down to Orange County, I don’t drive up to Los Angeles as much as I’d like to. The traffic scares me now, my age is really starting to show! But back to Tsujita….it’s on Sawtelle St. (Little Osaka) and there’s plenty of Japanese restaurants in the area. It’s been so long since I went to Ippudo that it’s hard to remember why I didn’t care for the ramen that much. I think it just seemed kind of bland?